Located in a sheltered bay on the south coast of England, Weymouth is a seaside town in Dorset on the country’s English Channel coastline. With a population of over 50,000, there is a range of lovely properties in Weymouth, plenty of which take full advantage of the town’s beautiful setting. At My Home Move Conveyancing we have been developing our knowledge and expertise of local property market since 2002, enabling us to bring our clients in the Weymouth area a specialist, fixed fee conveyancing service that is like no other. When buying or selling property in Weymouth, you’ll require the services of a lawyer to help you complete the required legal work. 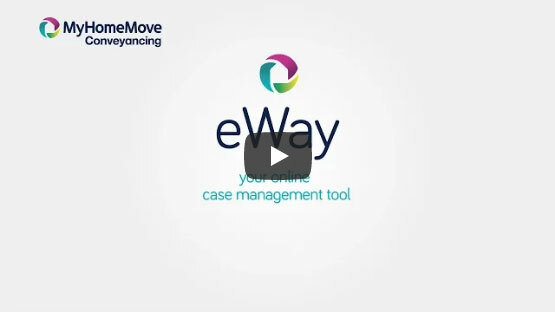 My Home Move Conveyancing can offer you award winning customer service, which we combine with our innovative use of technology and extensive knowledge of local markets. Our conveyancing service is fixed fee, meaning you can plan for exactly how much you’ll pay us, with no extra hidden costs to worry about when we act as your Weymouth conveyancers. Moreover, if you don’t end up moving, you won’t have to pay us anything in legal fees. We will assign you a dedicated conveyancer who will oversee your case from start to finish, providing you with a constant point of contact and ruler progress updates. At My Home Move Conveyancing we are proud to supply our conveyancing services in Weymouth to customers purchasing a wide variety of homes across the area, from wonderful Victorian properties off the Esplanade to harbourside abodes and houses in peaceful Wyke Regis. The average house price in Dorset is £236,577, while the overall average sale price in Weymouth during the past year was £229,829. Most sales in the area involved terraced properties, which went for an average of £190,838. Detached properties went for an average price of £327,578, flats for £170,555 and semis for £231,415. As its name suggests, Weymouth sits at the mouth of the River Wey, which along with the nearby rolling hills further enhances the natural beauty of the area. The town is adorned with a great Georgian seafront and pleasant beach where many a long summer day can be wiled away. Tourism is a major draw for the town, but Weymouth is also a lovely seaside spot to settle down in for those after that kind of thing. There are decent enough transport links to boost the popularity of the area, although the closest motorway is some distance away at Exeter in the west or Southampton to the east. The A354 connects Weymouth to the A35 in Dorchester, while there is a great bus service in the area. Whatever Weymouth may lose in terms of points scored with transport links, it more than makes up for in terms of the schools available. Primary options include Portesham CofE, Southill Primary and Beechcroft St Paul’s CofE on Corporation Road, while Budmouth College, All Saints CofE and Westfield Arts College are among the choices at secondary level. All properties in Weymouth will fall within one of the following council tax bands.